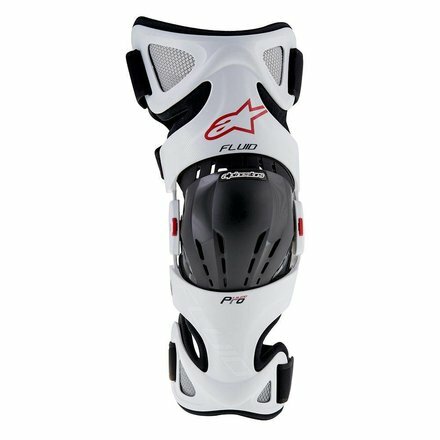 Incorporating an evolved chassis constructed from an innovative, advanced fiberglass compound for improved performance, the Fluid Pro is a versatile, fully CE certified knee brace. Designed for the stresses of off-road riding, the Fluid provides support and helps protect from hyperextension in the event of a crash. 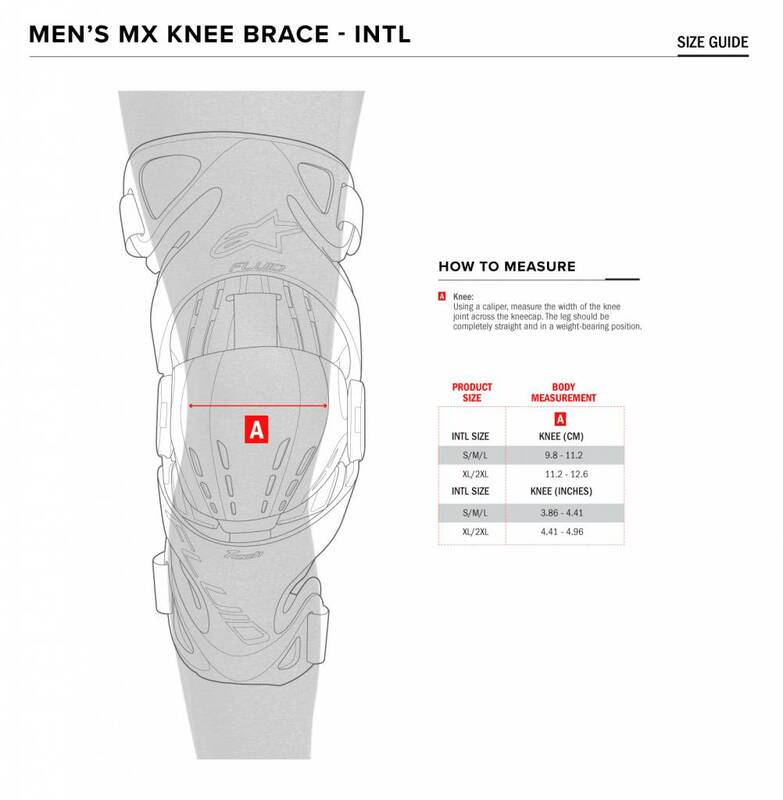 Lightweight, ventilated and highly customizable this brace offers a personalized and secure fit. Constructed from an evolved and advanced fiberglass compound for light, strong frame that retains strength and performance even in extreme temperatures. • Incorporating DEFT - Dynamic ErgoFit Tech - an innovative, reduced material design construction for improved weight-saving and excellent ergonomic performance. Innovative knee pivot system incorporates tool-free poly-centric hinge system for fast, easily exchangeable extension stops (0, 5, 10, 15 and 20 degrees) to prevent hyperextension injuries. • Ergonomically sculptured and ventilated knee cup system constructed from semi-rigid TPU for durability, backed by shock-absorbing PU memory foam for comfort. • Highly ventilated, channeled padding and mesh zones for superb airflow cooling. Customizable, versatile and secure fit with its size adapter system (size ranges S-M-L and XL-XXL). • Fine-tuning of personalized fitment offered by knee width adjustment spacers (1mm, 2mm and 3mm, both sides), supplied as standard. • Supplied with anatomically optimized ErgoFit spacer kits for improved directional articulation performance and position stability. • Correct positioning of knee cup is secured accurately with top and bottom elastic straps, allowing multi-directional freedom of movement, avoiding pressure points on the patella. • New, soft, dual strap system promotes secure fitment of brace in all riding positions and includes combined buckle and Velcro® closures for rapid and easy mounting as well as comfort. 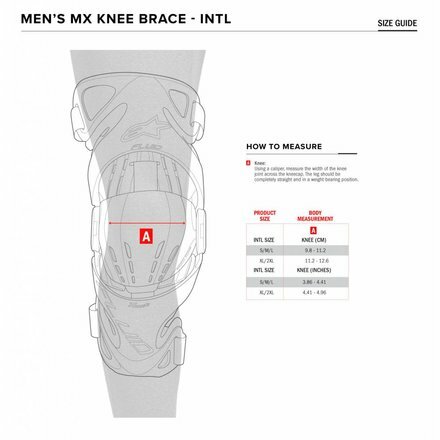 • Knee brace incorporates new lateral-side knee padding for comfort and to avoid pressure points.